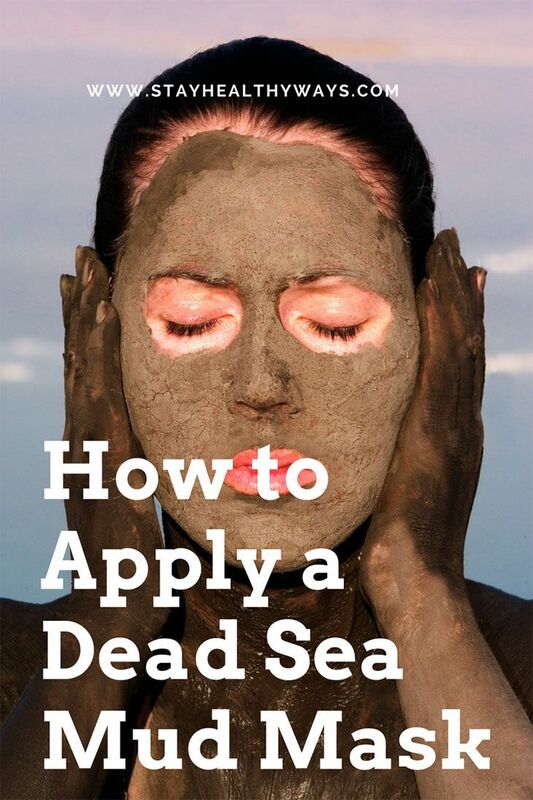 Home » Beauty » Skin Care » Dead Sea Mud Mask: How to Apply and Why It Works? Dead Sea Mud Mask: How to Apply and Why It Works? What are the benefits of Dead Sea mud mask? Do they really work? We’ve all heard about the Queen of Sheba and Cleopatra visiting the Dead Sea. Thousands of people still flock there, to experience what is said to be the biggest natural spa in the world. My question is whether the Dead Sea mud mask I am using at home has the same benefits as the mud at the Dead Sea itself. 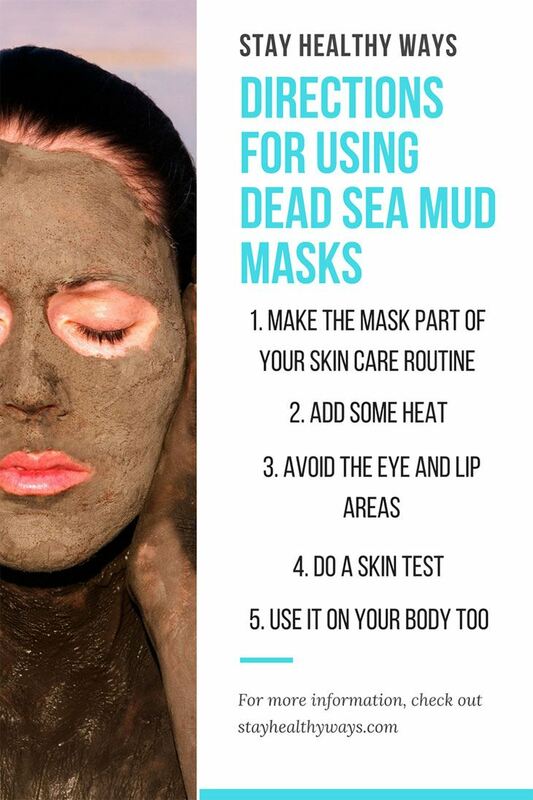 So, before I give you some secrets and tips about how to use Dead Sea mud masks, let’s first look at the facts. What Makes the Water, Mud, and Air of the Dead Sea So Special? Which Claims About Dead Sea Mud Masks Can We Believe? What Ingredients Can You Add to the Mask? There are some special environmental conditions at the Dead Sea. This includes the mineral content of the water and mud, reduced ultraviolet levels from the sun, higher atmospheric pressure and very low levels of pollens and other allergens in the air. The water has 345g of minerals per liter – 7 to 10 times more than normal seawater. However, Dead Sea water is not concentrated sea water. It has a unique combination of 21 minerals, all with health benefits. The mud is also rich in minerals, including magnesium, zinc and silica. While the mud has small amounts of heavy metals, including lead, tests have shown that it is safe, also for cosmetic use. There is some indication that those who have known sensitivity to nickel and chrome should avoid Dead Sea products. Dead Sea mud mask is really working? Psoriasis: Research shows that the results come from balneotherapy (immersion in the water) plus phototherapy (exposure to the sun). So, the amount of magnesium in the mud or salts is part of it, but can’t be used in isolation to claim that a product containing Dead Sea salts or mud will also help for psoriasis. Vitiligo: Re-pigmentation is related to increasing levels of exposure to the sun following sea baths. The sea water, mud and salts are exported all around the world to be added to cosmetic and health products. They have a wide range of benefits. "Black Mud" is a black clay from the Dead Sea. Research has shown that this mud relieves pain, swelling and inflammation associated with various types of arthritis. Reduction of symptoms lasts for months after treatment. Warming the mud in a microwave oven increases the benefits. Dead Sea mud has been shown to have strong antimicrobial﻿﻿ properties. This means that it is effective against bacteria, fungi and some viruses. The mud is shown to be effective against the two bacteria that lead to acne: p.acnes and staphylococcus aureus. A research study had volunteers with dry skin submerge one arm in water containing 5% Dead Sea salt and the other arm in normal tap water. The salt prevented water loss through the skin (TEWL or trans-epidermal water loss) and this protection continued for some time after the treatment. This is important because it means that Dead Sea salt has a skin barrier function. Cosmetic moisturizers usually add ingredients like mineral oil, lanolin or beeswax to provide a protective film on the skin to prevent moisture loss. Dead Sea salts do the same, but without sealing the skin, so it can breathe. The same study showed improvements in skin hydration, skin roughness and skin redness. These benefits were seen to be related to the high magnesium levels in the salts. Studies undertaken by Ahava, the cosmetic company based at the Dead Sea, have found out why skin hydration improves. The minerals in the Dead Sea are hydroscopic – ie they attract water. When they are placed on the skin, they act like a pump, pulling up moisture and nutrients from lower levels to surface levels of the skin. So, the minerals pull moisture into the skin, and they provide a skin barrier to prevent loss of moisture – a double benefit! Oil and moisture are not the same thing, but they are related. The job of oil is to keep moisture in. If you strip away the oil with harsh products, you also strip out the moisture. The body generates more oil to compensate. So, many people have very oily skin that is dehydrated. A Dead Sea mask will lift out excess oil (the magnet effect), but retain the skin barrier (the mineral effect), and keep the moisture in. Your skin should normalize over time. Skin ages when it does not retain water and when cell metabolism slows down. We’ve already seen that Dead Sea salts help to retain moisture. In addition, boosting the skin with the minerals magnesium, calcium, sodium and potassium improves cell-to-cell communication and metabolism. This speeds up the metabolism and new cells are generated. There is some exfoliation effect from the particles in the mud if you rub it into your skin. However, the salts themselves also remove dead skin from the surface of the skin. All muds and clays, not just those from the Dead Sea, have a negative electrical charge. Impurities, oils and dirt on your skin and in your pores, have a positive charge. Muds and clays, therefore, act as magnets, pulling out the impurities. This will help for blackheads, pimples and spots. A single treatment will not remove everything, but your skin will clear with regular treatments. All muds and clays have astringent properties. Astringents shrink or constrict body tissues. So, a mud mask will shrink pores and tighten skin. You can buy a mask on the internet or at your local health store. Alternatively, you can make your own. The basics of skin care are to cleanse, tone and moisturize, morning and night. Once or twice a week, add a mask after the cleansing step. Apply a warm cloth or towel to your skin before you use the mask to open your pores and increase blood circulation. Warming the mask makes it more effective. Stand the container in some hot water. Just check the temperature before you put it on your skin. The astringent properties of muds are not good for the delicate skin around the eyes and lips. Cover these areas with honey or a natural oil like coconut oil or olive oil before you apply the mask. Alternatively, use cotton pads moistened with skin tonic. Or try the traditional cucumber slices! Dead Sea mud and salts have been tested for safety. However, especially if other ingredients have been added, it’s a good idea to do a skin test. Rub a small amount into the inside of your arm or elbow. Leave for a few hours to see whether there is an allergic reaction. If there is any irritation, rinse off immediately and apply a moisturizer or an antihistamine cream. Some manufacturers recommend using the mask on your hands or nose before you try it all over your face. Have a home spa treatment. Rinse off in a shower and apply a good body lotion. You can make your own mask, using a Dead Sea product as the base. This may be a dried mud powder, salts or mud. Use it just like that or add your favorite ingredients from the list below. Get it to the right consistency by adding a tablespoon of yogurt, honey, aloe vera or grapeseed oil and warm water. It should be smooth and spreadable. Apply a thin layer of the mask to your face and neck. You can use a brush or your fingertips. Start from the center of your face and work outwards and upwards. Continue with your normal skin care routine. I use a toner to make sure that any residue has been removed. So, there you have it. It’s that easy. The research shows us that the minerals in Dead Sea water, salts and mud have multiple benefits for your skin. They remove impurities, boost hydration and cell renewal, and deliver softer, smoother skin. 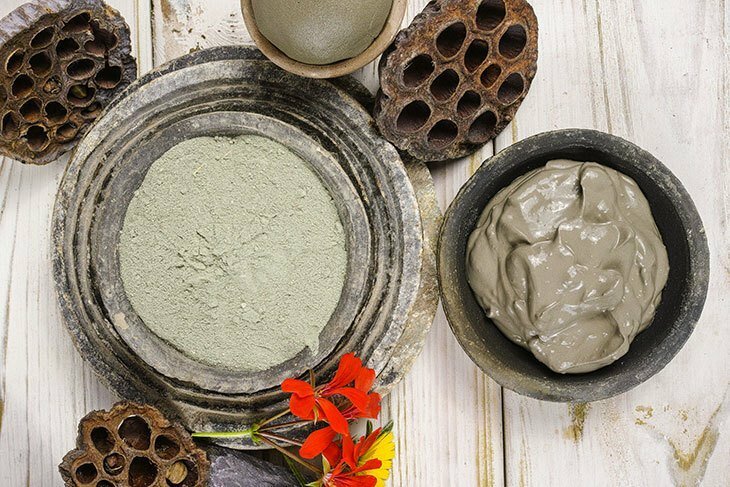 You can use Dead Sea mud packs to treat acne, relieve the pain of arthritis and improve the health and appearance of your skin. Sounds good to me! I hope you try a Dead Sea mask soon, and that you let me know how your skin looks and feels. Coconut Oil For Jock Itch: The Best ﻿Way﻿ to Treat It! Avocado Oil for Hair: All You ﻿Need﻿ to Know! Thanks. After use how to keep mud pack in cooler place or outside. and how to use Dead sea spa Alo Vera Gel.